Blues and Beyond Festival in Castlebar this coming June Bank Holiday weekend, 3rd, 4th, 5th and 6th June. Castlebar plays host yet again to another party of live music in what has become known to music fans as the festival that marks the real beginning of summer, and everyone's invited! 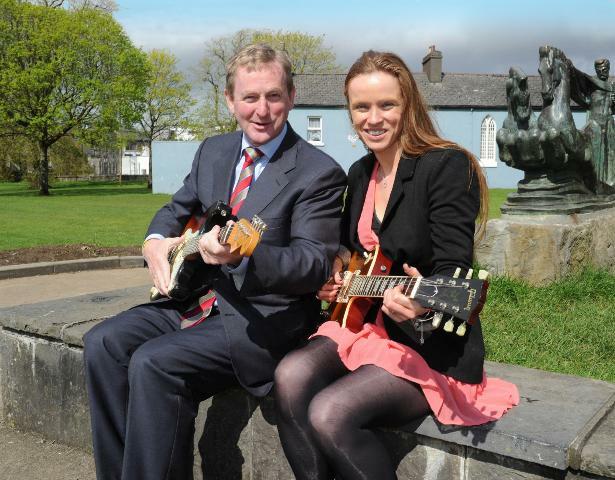 Enda Kenny with Grainne Duffy at the launch of the Castlebar Blues and Beyond Festival, June Bank Holiday weekend. With the majority of gigs free this is certainly something to sing about. Headliners include evening concerts with Imelda May on Friday, Brian Kennedy on Saturday and Thin Lizzy on Sunday, in addition to the now famous pub trail with free admission to all gigs, featuring musicians from all over the world. The town is emersed in music that is as mellow as a sleeping kitten, influenced from all over the world, or is fast and lively knees-up blues and rock - there's something for everyone. The festival over the last few years has seen growth in the numbers of venues and also new and returning visitors. This year, with support from Fáilte Ireland, promises to be one of the best yet. 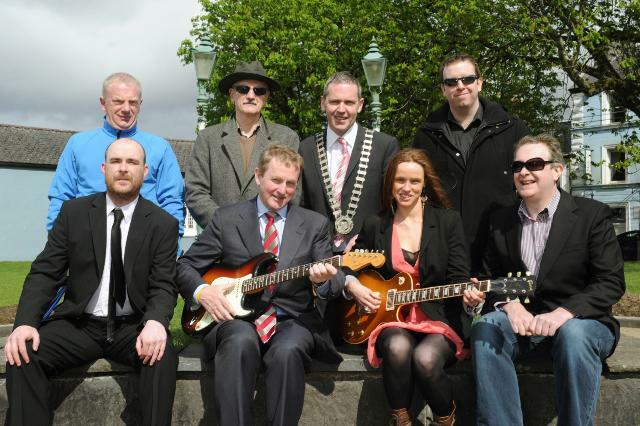 Born to run, the Boss, An Taoiseach Enda Kenny pictured with Grainne Duffy at the launch of the Castlebar Blues and Beyond Festival, June Bank Holiday weekend. Also included in the picture is Ger Deere, Town Mayor, and festival committee members, back, l to r: Kevin ‘Webster’ MacNeely, Jerry Tolster, John Mulroy. front, l to r: Finbar Hoban and Declan Durcan. Missing from pic Werner Lewon. For more information visit www.castlebarblues.com Photo: John Moylette, L.I.P.P.A., N.U.J. Castlebar is undergoing a huge transformation at present with new streetscapes being completed in the downtown area, and there's lots of street activity and entertainment planned. The town centre green park, known as The Mall, also plays host to a family ‘Funday Sunday' the same weekend. If you feel like a good value mini break, and love live music, checkout www.castlebarblues.com for more details.